People often hear of the words cocaine and crack. May it be on TV, on the streets, or at school, most individuals know how to discern the two substances. Nevertheless, read through this article to understand more about their key differences. Drug dealers and buyers really know what is cheaper. Crack is often the substance of choice for the average drug user, because it costs less to create, and, in turn, costs less than powder cocaine. This is also the reason why crack has become increasingly popular among many folks nowadays. Even if powder cocaine is an older abusive substance compared to crack, it is still a potent substance that makes one ‘high’ within 10-15 minutes, even if it is just snorted. With crack it is even faster, wherein the user becomes high in a matter of a quarter of a minute (15 seconds), through smoking. Because of its heavy usage among various age groups today, crack has been regarded as a more dangerous addictive substance than most of the other abusive drug forms. In terms of purity, crack is also hailed as purer than powder cocaine. It appears as a white crystal-like rock as opposed to powder cocaine that comes as a fine white powder. The latter is harnessed from the leaves of coca, which alters one’s control of voluntary movement. As a form of powder, cocaine is either taken through injections, or it is simply snorted. On the contrary, crack (cocaine’s freebase version) is preferably smoked. It is being consumed by some individuals to induce a euphoric sensation that seems to ‘revitalize’ their body. Lastly, smoking crack will also get you more jail time. Just obtaining 5g of crack will make you eligible for 5 years imprisonment, compared to obtaining 500g powder cocaine and being sentenced for the same extent of time. Not to make a stereotype, but that’s why many Black Americans become jailed easily, because of using crack. Conversely, Caucasians and Whites readily use powder cocaine instead of crack. 1. Crack is the cheaper and newer addictive substance compared to powder cocaine. 2. The speed of getting a euphoric ‘high’ is a lot faster when smoking crack compared to snorting powder cocaine. 3. 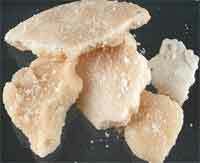 Crack is said to be purer than powder cocaine. 4. Crack is preferably smoked, whereas powder cocaine can be taken in the form of injections, or by snorting. Julita. "Difference Between Crack and Powder." DifferenceBetween.net. December 25, 2010 < http://www.differencebetween.net/object/difference-between-crack-and-powder/ >.